WESTON -- Red Sox legend David Ortiz will serve as the 2019 commencement speaker for Regis College in Weston. Regis will bestow an honorary degree in recognition of Ortiz's accomplishments on the field as one of the most prolific designated hitters in history and off-the-field contributions through the David Ortiz Children's Fund. "David may be known for his heroics on the baseball diamond, but his steadfast commitment to improving the lives of children suffering with severe, critical cardiac conditions in the Dominican Republic and New England are life-saving," said Regis President Antoinette Hays. "We are honored to have David as our 2019 commencement speaker." Lawrence Mayor Dan Rivera will also address the graduates and receive an honorary degree. Rivera first served Lawrence as a city councilor and was elected mayor in 2013. His leadership remains critical to the continued relief efforts of the city after the Columbia gas explosions that rocked the Merrimack Valley last summer. "Mayor Rivera's stalwart leadership is an inspiration to his city and to all of those who face adversity," said Hays. "His story of being a first-generation American college graduate and his commitment to education is reflective of many of our students' experiences." 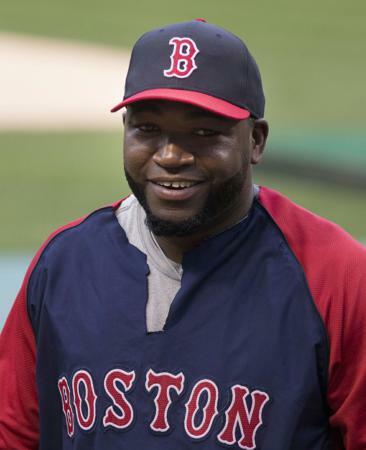 Ortiz, affectionately known as Big Papi, has established himself as one of the most prolific hitters of the last decade, while becoming a fan favorite on and off the field. His heroics in ending the Red Sox World Series curse in 2004 and record-breaking MVP performance in the 2013 World Series have earned him legendary status as one of Boston's greatest sports heroes. A ten-time All-Star and three-time World Series Champion, Ortiz is recognized as one of the greatest and most popular players of this era. Ortiz holds the all-time record for most hits and home runs by a designated hitter and became the 27th player in baseball history to join the 500 Home Run Club. Ortiz's tremendous reputation extends off the field through the David Ortiz Children's Fund that was started in 2005, when he visited a hospital in the Dominican Republic and witnessed firsthand young children recovering from intensive heart surgery. Today, through outreach, education and support for medical care, the fund is committed to enhancing the health and well-being of children who require life-saving heart operations. In recognition of his charitable work, David received the 2011 Roberto Clemente Award, one of baseball's most prestigious honors. He now stars on FOX as an analyst to cover the MLB Playoffs. Mayor Rivera grew up in Lawrence as the son of a single mother who emigrated from the Dominican Republic to find a better life for her family by working in area mills. As the middle son of a family of four, Rivera worked hard his entire life, later serving our country as a military police officer in Iraq and Kuwait during Operations Desert Storm and Desert Shield. When he returned home, Mayor Rivera graduated from the University of Massachusetts Amherst and then Suffolk University with a masters of business administration. He later worked as economic development director for Congressman Marty Meehan. In his second term as a councilor-at-large in Lawrence, Mayor Rivera was elected vice president of the city council and chaired the Budget and Finance Committee. He led the council to successfully find about $500,000 in critical funding for police positions during the city's worst financial crisis, and initiated a successful campaign to cut the city council's pay as a sign of fairness and shared sacrifice during tough budget times. In 2013, he was elected mayor and has worked to make city services more responsive, more transparent and financially healthy. As a member of the board of trustees for Northern Essex Community College, Mayor Rivera is committed to bring higher education opportunities to the citizens of Lawrence and the entire Merrimack Valley. He has been an ardent supporter of Regis North, which offers a bachelor's completion program in Lawrence as well as an accelerated nursing degree. Commencement ceremonies for Regis College will be held at the Rockland Trust Bank Pavilion in Boston on May 11.